Sam & Me - The Feature Film: Who is Sam? "Uncle Sam" was a great guy who did great things. 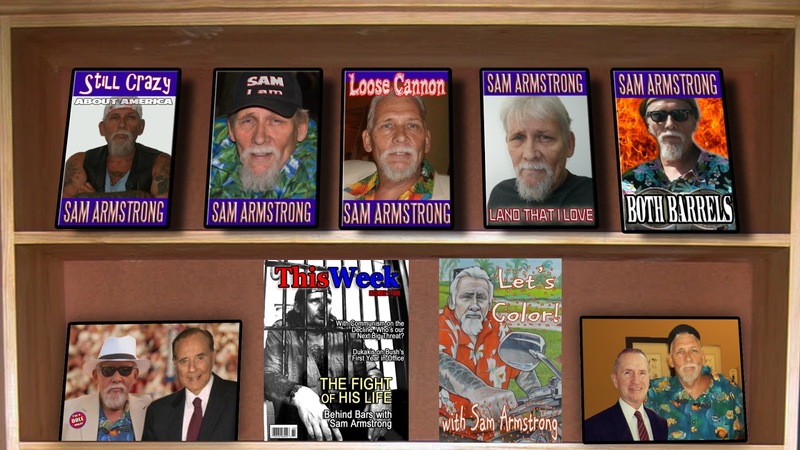 He wrote best-selling books about his love for America and his exploits in Vietnam, even children's coloring books. He starred in three Hollywood blockbusters based on his books and graced the cover of ThisWeek magazine in 1989. Sam was the 'Hulk Hogan' of the populist literary and action movie world. His endorsements swayed presidential elections (he refused to run himself). But something happened. Sam got lazy. He got indulgent. He got addicted. But everything's about to change when his nephew Kevin takes him in after a final stint in rehab.